But works by this Chinese modernist painter, who died in 1983, generated $354.8 million in auction sales last year — $31 million more than Picasso, who weighed in at No. 2, according to the French database Artprice. 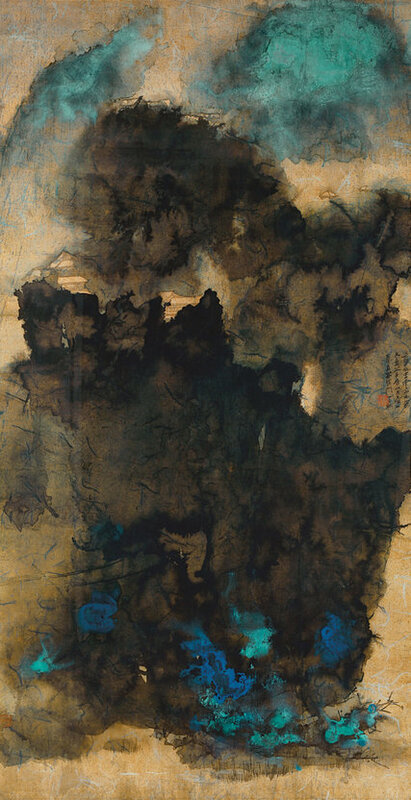 On Tuesday, at a Christie’s sale in Hong Kong, Zhang’s 1965 “splashed ink” scroll painting “Ancient Temples Amidst Clouds” sold to a telephone bidder for 102.5 million Hong Kong dollars with fees, or about $13.2 million. It was the sixth-highest auction price for this prolific, much-traveled and much-faked artist, who himself delighted in faking Chinese masters. This particular work was from the prestigious Mei Yun Tang Collection, compiled from the 1940s onward by the photographer Kao Ling-mei and his wife, Jan Yun-bor. Days earlier in Hong Kong, Christie’s had set an auction high of 152.9 million dollars, or about $19.6 million, for Zhang’s fellow another modernist painter Zao Wou-Ki (1920-2013), who spent most of his working life in France. The swirling, 11-foot-wide blue, black and white abstract, “29.09.64,” had been in the same French family collection since 1969 and had been estimated to sell for at least $5 million. The scale of these prices reflects how the balance of financial power has shifted to Chinese auctions. Artprice calculated that in 2016 — a year marked by nervousness and contraction in the art market — China captured 38 percent of the $12.45 billion in public fine art sales worldwide, eclipsing the 28 percent achieved in the United States. Both Zao and Zhang lived most of their lives abroad. “The interest in both of their oeuvres shows that Chinese in China are getting more and more interested in other Chinese stories of modernity — That is, stories other than the ones that happened in the P.R.C.,” said Shane McCausland, a professor of art history at the School of Oriental and African Studies in London, referring to the People’s Republic of China. Auctions in Hong Kong and mainland China have been plagued by nonpayment issues, undermining the reliability of sales data. From May 2015 to May 2016, for example, the rate of nonpayment at Chinese auctions stood at 41 percent, according to a March report commissioned by Art Basel and UBS. That acknowledged, China, the second-largest economy after the United States, remains the art market’s prime emerging power. But how will that power evolve? Dealers and auctioneers in international contemporary art are hoping that Chinese collectors will develop an understanding and a taste for the names that dominate the market in the West. Over the past five years, the Hong Kong edition of the Art Basel fair has given American and European galleries a destination event at which to show their artists in Asia. And Western auction houses are now holding sales of international contemporary art in Hong Kong. On May 28, Phillips held its second Hong Kong evening sale of 20th century and contemporary art and design. This raised 129.8 million dollars, or $16.6 million, from 57 lots, five of which failed to sell. The Sean Scully abstract “Wall of Light Green,” from 2013, sold for $1.4 million, almost doubling a high estimate that reflected current gallery prices. But the main talking-point of the night came from the on-trend Indonesian painter Christine Ay Tjoe, who was the subject of a solo show last summer at White Cube in London. 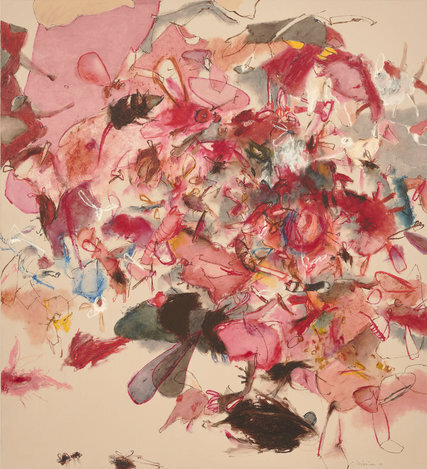 Ms. Ay Tjoe’s five-foot-high abstract “Small Flies and Other Wings” from 2013 soared to 11.7 million dollars, or $1.5 million, 10 times the presale estimate and an auction high for the artist. It was bought by a Japanese telephone bidder after nine minutes of competition. The success of this red and pink abstract also said something about the current taste of the region. The politically charged figuration of “Cynical Realist” painters such as Yue Minjun, Zhang Xiaogang and Fang Lijun — which attracted millions from speculative Western collectors in the 1990s and early 2000s — is no longer in fashion. Under President Xi Jinping’s authoritarian leadership, censorship in China has tightened and artistic freedoms have been curtailed, as was eloquently described last month by Ai Weiwei in The New York Times. As Professor McCausland notes, the state-run China Artists Association now officially promotes a “conservative nativist” art that reframes — some might say regurgitates — the traditions of ink painting. This aesthetic was on show in the derivative, decorative works on offer at Christie’s “Chinese Contemporary Ink” auction on May 29, which raised 17.7 million dollars. “If people want to curry favor with the government, or the Party, they’ll collect it,” said Professor McCausland. Meanwhile, the market for what the West would recognize as “cutting edge” contemporary art remains disproportionately small in China, considering the country’s economic and cultural might. Timothy Taylor, a London gallerist, points out that the climate of censorship and restrictions on capital outflow make it difficult for major international galleries to operate in China. 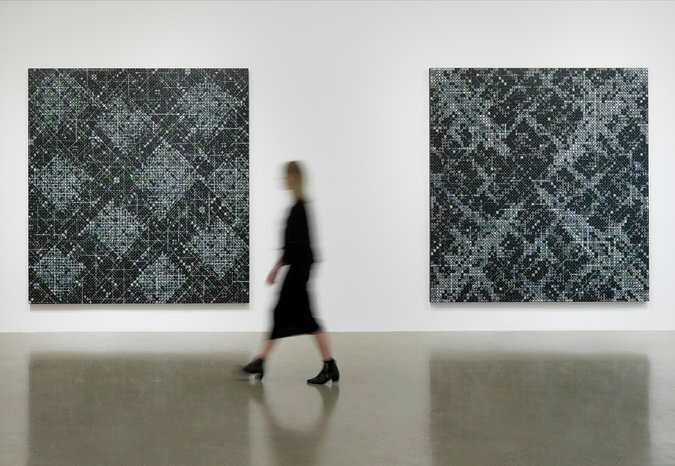 Mr. Taylor’s London gallery is exhibiting seven large-scale works by the Shanghai abstract painter Ding Yi. Little-known in the West, Ding uses a visual language of grids and crosses to obliquely evoke the seismic psychological and physical changes that China has undergone in recent years. The paintings, from 2016, are priced at 350,000 pounds, or about $450,000. Two have sold; one buyer was from Europe, the other from the United States. Mr. Taylor said he had found it encouraging to see a far larger attendance of mainland Chinese visitors at this year’s Art Basel Hong Kong, but he remained skeptical that contemporary pieces would come to dominate China’s visual culture and art market as they have in the United States and Britain — at least any time soon. Tastes change, of course, and electronic devices are revolutionizing notions of culture all over the world. But the millennia-old artistic traditions exemplified by Zhang Daqian suggest that China’s cultural tastes might well last longer than ours. Posted in Art	Bookmark the permalink.